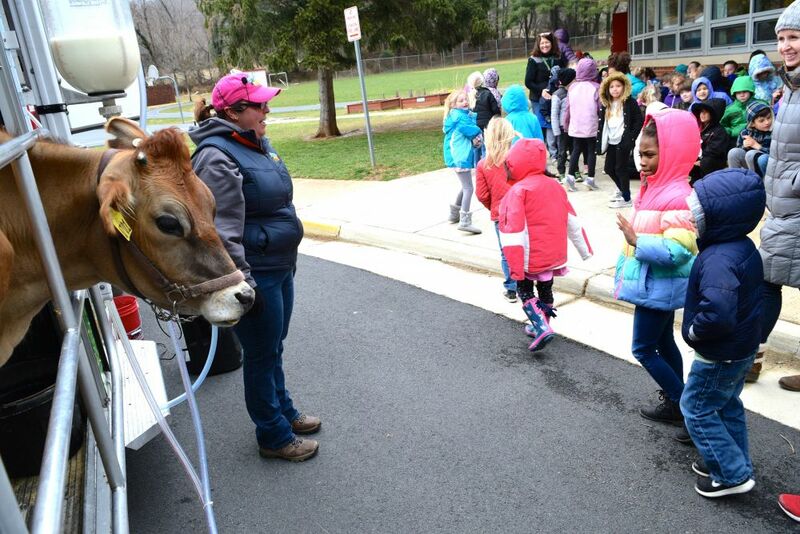 Braving the wind and cold weather, Hillsboro Charter Academy students were treated to a close encounter with a dairy cow Friday morning. 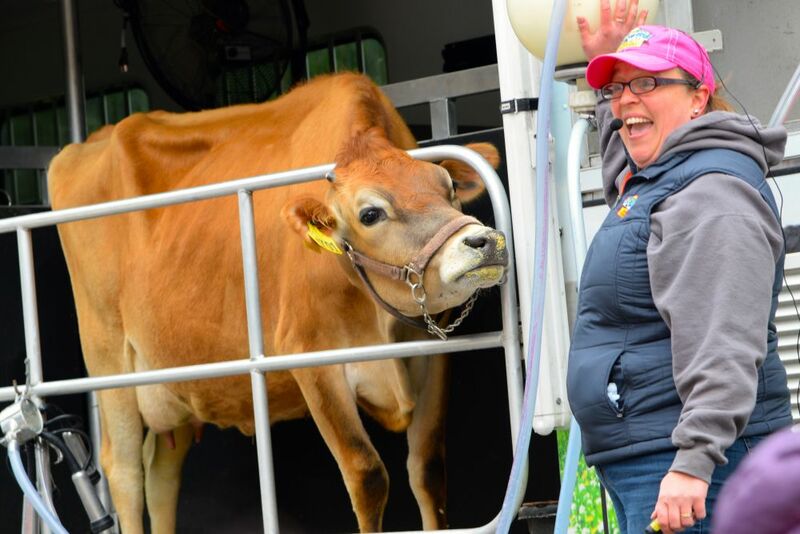 The Southland Dairy Farmers Mobile Dairy Classroom visited the school to give nearly 150 students, and a few teachers, an overview of the dairy farming process and the nutritional benefits of milk. Instructor LaVaun Janney’s presentation included a synopsis of cow anatomy and an emphasis on the nine vitamins that milk provides—Vitamin B12, Riboflavin, Niacin, Vitamin D, Vitamin A, Phosphorus, Potassium, Calcium and protein. 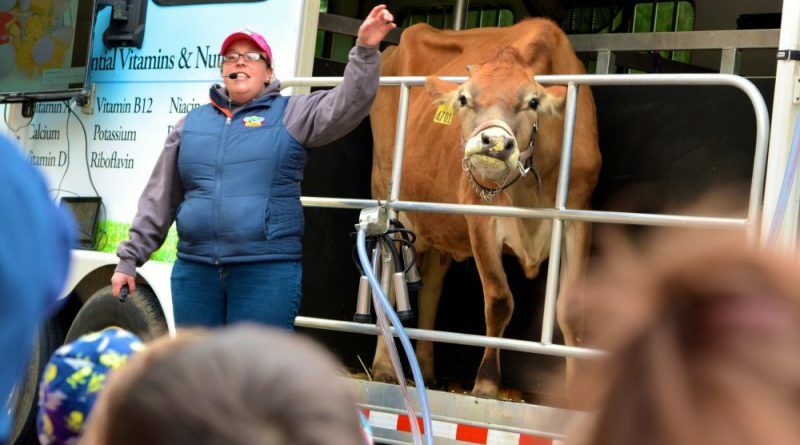 The students’ attention during the talk paid off, as they got to see a live milking demonstration with a cow named Ginger. Southland’s mobile classroom is a free program to schools across Virginia and seven other states. 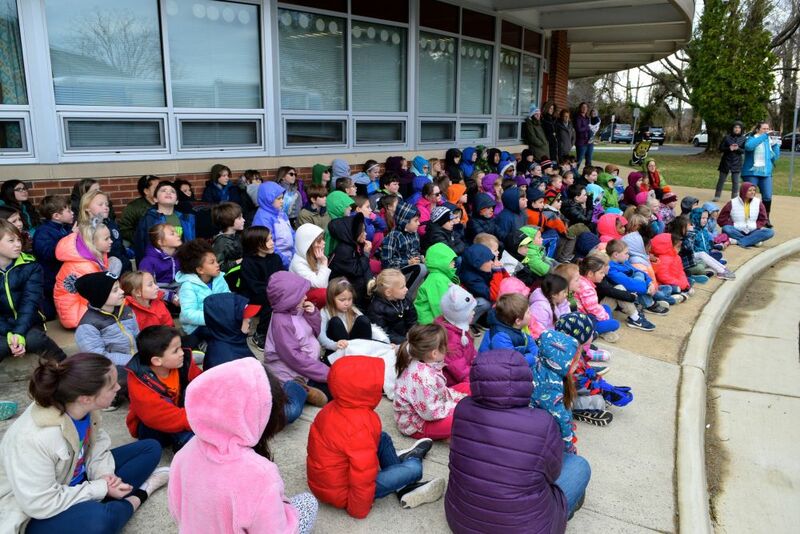 To schedule a presentation, all schools need to do is make a request at southlanddairyfarmers.com, provide adequate outdoor seating and a 45-50-foot parking space for the mobile classroom’s 32-foot trailer. It’s so sad that they have to bring a cow around on a truck, to demonstrate what used to be a staple in this county. This is awesome! We’ve got Loudoun farmers offering to do similar programs, but so far they have been told by principals that they don’t want animals on campus. 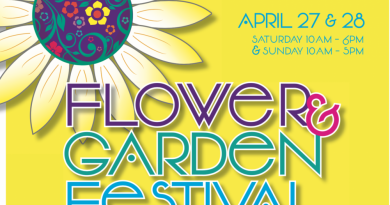 Here’s hoping more will take Hillsboro’s lead to let kids see whats going on on local farms! Thank you guys for putting on this program!